296.22 sqft. - 483.30 sqft. Situated in the exquisite location in Madiyava, Lucknow, Eldeco City Kutir is one of the finest housing projects built with exclusive care and planning. The quality of amenities it has been equipped with speaks for itself. Madiyava is seamlessly linked to its neighbourhood like Aliganj, Amethiasalempur, Banaura Husainbari, Butler Colony, Hasanganj, Hazratganj, Indira Nagar, Jankipuram, Khurram Nagar and Mubarakpur etc by roadways on all sides; reaching out these prime areas is not a hassle indeed. Surrounded by multiple educational institutions like St Xavier Academy, Indian Institute of Management Lucknow, St. Mary's Inter College, Pearl International Public School and Gurunanak Junior High School etc, shopping malls, hospitals like Aalam medicals, S.S. Hospital & trauma center, S M Memorial Hospital, and Kls Memorial Institute etc,ATMs, restaurants, local shops and many more ; this under construction site projects a standard and luxury living. Buying a house built by this fine developer, itself sets an example of luxury standard. This meticulously built project offers its buyers an area of 2.86 acres. So, do not let this fine deal slip off your hands! 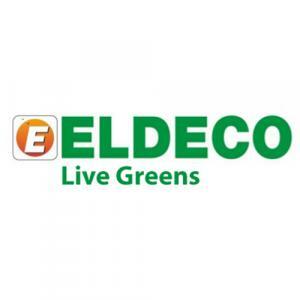 Eldeco has dedicated their life’s work towards creating a perfect real estate and housing solutions possible for their vast number of clients. From their initial beginnings as a small business enterprize, this real estate development and construction company has always set out to raise standards of work in the field and has had a permanent and strong vision for their future.